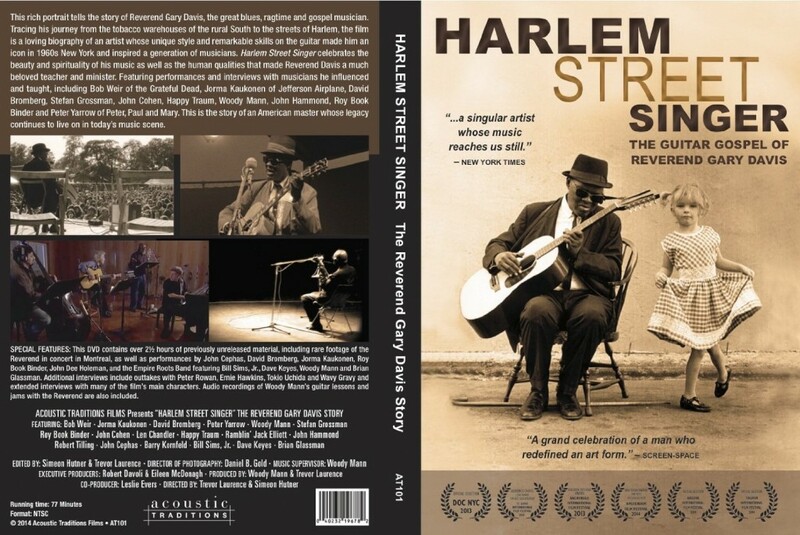 The DVD contains over two and a half hours of previously unreleased material, including rare footage of the Reverend in concert in Montreal, as well as performances by John Cephas, David Bromberg, Jorma Kaukonen, Roy Book Binder, John Dee Holeman, and the Empire Roots Band featuring Bill Simms, Jr., Dave Keyes, Woody Mann and Brian Glassman. Additional interviews include outtakes with Peter Rowan, Ernie Hawkins, Tokio Uchida and Wavy Gravy, and extended interviews with many of the film’s main characters. Audio recordings of Woody Mann’s guitar lessons and jams with the Reverend are also included.